In addition to the array of new options within its Rendez-Vous collection, Jaeger-LeCoultre at SIHH 2017 will add a flying tourbillon to its Geophysic Universal Time watch to create the new Geophysic Tourbillon Universal Time. 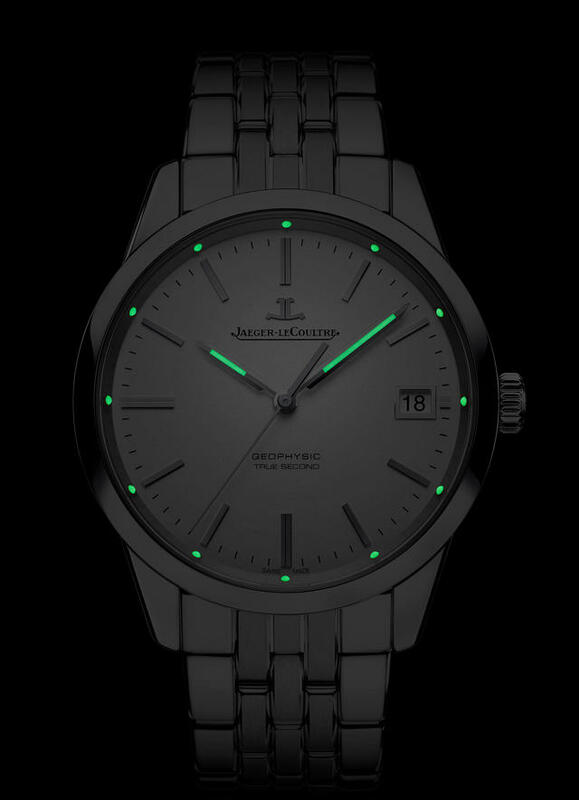 You’ll recall that the original Geophysic model, sans tourbillon, hit the market two years ago as one of two Geophysic watches updated with Jaeger-LeCoultre’s newly developed deadbeat seconds function called True Seconds and the firm’s highly efficient Gyrolab balance. This new 43.5mm Geophysic Tourbillon Universal Time, offered as a limited edition of 100 cased in platinum, retains the picturesque Gyrolab balance within the tourbillon, but with the flying tourbillon ticking the seconds at the 4 o’clock position, a True Seconds hand on this model is redundant. 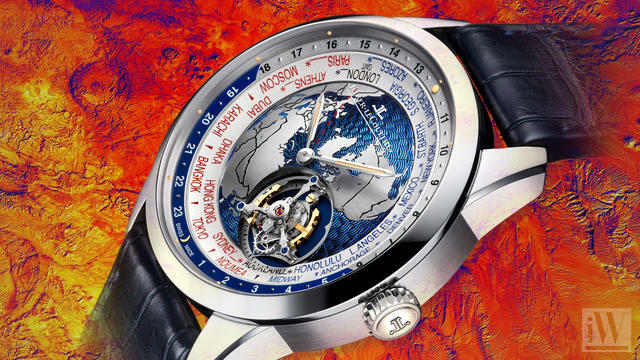 The watch’s richly finished dial (with blue guilloché for the oceans and satin-brushing for the continents) allows the wearer to read the time in twenty-four cities around the world simultaneously. Simply line up the city name with the hour on the ring adjacent to it. 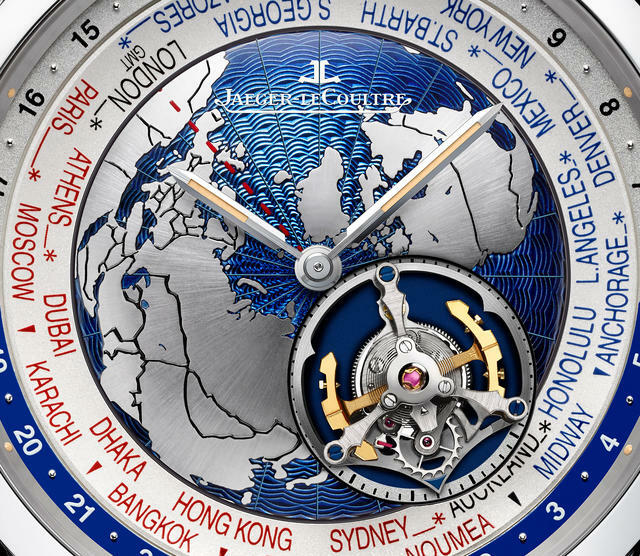 According to Jaeger-LeCoultre, this watch marks the first time a manufacturer has paired a flying tourbillon with a world time function. The Geophysic Tourbillon Universal Time is also easy to set using the single crown. While travelling, only the relevant hour needs to be adjusted to change time zones. Turning the watch over, enthusiasts will recognize the Jaeger-LeCoultre logo on the solid gold rotor as seen through a sapphire caseback. Pricing will be announced next week at the SIHH. 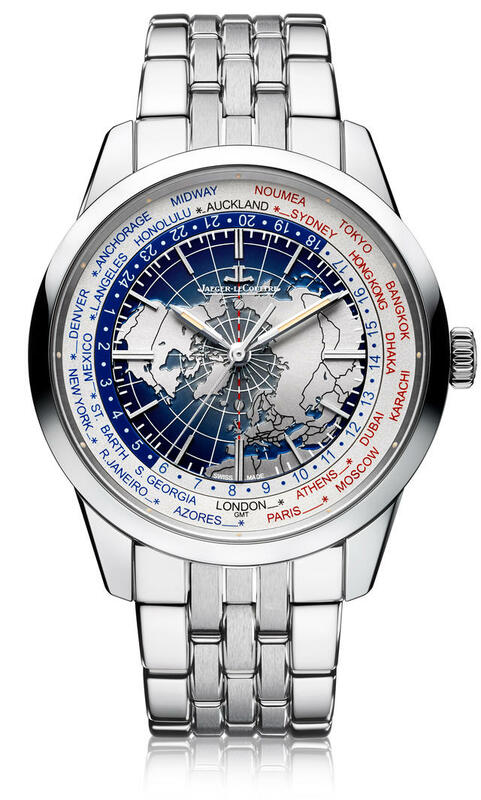 Jaeger-LeCoultre in 2017 will also update the bracelets available to fit the aforementioned Geophysic True Second and Geophysic Universal Time. 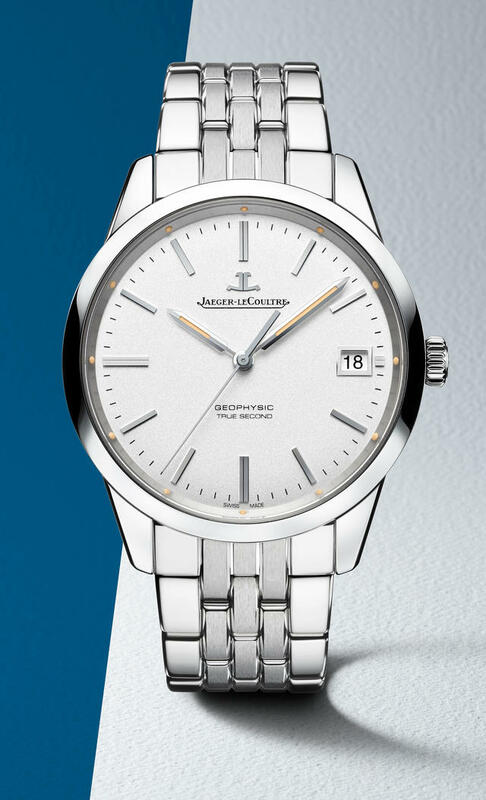 An interchangeable steel bracelet will allow wearers to swap steel bracelet and a leather strap as desired with either model. Composed of five satin-brushed and polished links, this new bracelet is flexible and offers a new folding clasp with easy adjustment: the length of the bracelet can be extended up to five millimeters.